Dr. Eugene J. Farrell is a fulltime, permanent Lecturer in the Discipline of Geography in the College of Arts, Social Sciences, & Celtic Studies in National University Ireland Galway. He joined the University in August 2012. He is the instructor for physical geography modules in the BA (undergraduate) and MSc (postgraduate) degree programmes. He directs the new taught MSc programme ‘Coastal and Marine Environments: physical processes, policy’. Dr. Farrell completed the Earth Science Bachelor of Science (BSc hons.) 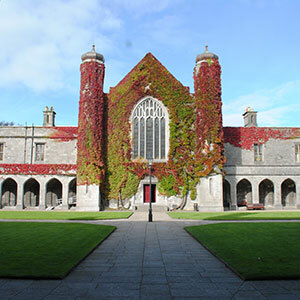 programme at University College Cork (1991-1995) and the Masters of Science (MS) programme in Geography during his tenure at the University of Southern California, Los Angeles, USA (1995-1998). Following these he worked in Geographic Information Systems (GIS) in the California real estate industry for four years (1998-2002) mapping natural and environmental hazards. He moved to Italy in 2003 to work at the Università degli Studi di Firenze on coastal research and management projects along the Tuscany coastline. He completed the doctoral programme (PhD) in Geography at Texas A&M University, USA (2006-2012). During this time period he was a National Science Foundation (NSF) fellow and visiting scholar at James Cook University, Queensland, Australia. In January 2012 he was appointed Postdoctoral Associate at the Institute of Marine and Coastal Science, Rutgers, The State University of New Jersey (USA). His research background is in physical geography, with a focus on process geomorphology in coastal nearshore-beach-dune environments. His adopted scientific approach relies rely on the design and implementation of instrumented field experiments relevant to high-resolution topography, sedimentology, atmospheric and ocean sciences, and innovative techniques in remote sensing. Currently he pursues five major research themes: (1) the response and recovery of nearshore-beach-dune systems to short-term (storms) & long-term pressures (climate change) & development of adaptation management strategies; (2) aeolian processes & landforms; (3) source-to-sink: linking catchment dynamics with coastal and marine environments; (4) geomorphology: public outreach, education and civic engagement; and (5) application of innovative UAV-based (drone) & Earth Observation (ESA, Copernicus) remote sensing techniques to coastal dynamics. A driving motivation of his research is the conviction that informed decision making must be based upon empirical/observation data as we try to predict how our coastal and marine environments will respond to short- and long-term pressures and drivers of change. Much of this work is collaborative and cross-disciplinary in character and is supported by grants and awards from research funding agencies. (2016) Evaluation of the Effects of a Demonstration Project for Restoring Bayside Sediment Processes at Sailors Haven Marina. Natural Resource Report NPS/FIIS/NRR—2016/1309. (2013) Sustainable Water Network (SWAN), Ireland. Integrated Coastal Zone Management in Ireland - Meeting Water Framework Directive and Marine Strategy Framework Directive targets for Ireland’s transitional and coastal waters through implementation of Integrated Coastal Zone Management. (2017) Newspaper (The Examiner). 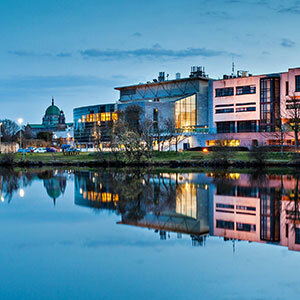 Galway hosts conference on climate change research. (2017) Newspaper (Connacht Tribune). 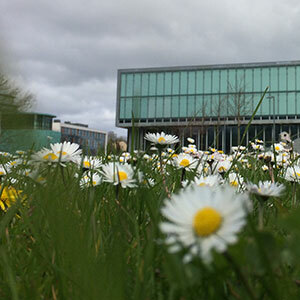 NUIG symposium to debate extreme weather events. (2017) Newspaper (The Kerryman). Maharees at the cutting edge of erosion research. (2017) Radio (RTE Drivetime). Researching extreme weather events in Ireland. (2017) Newspaper (The Irish Times). More research needed to predict extreme weather events. (2017) Newspaper (Kerry's Eye). Where's all the sand gone?. (2017) Newspaper (The Kerryman). Grassroots battle to save the Maharees. (2017) Radio (Radio Kerry). Where's the sand in the Maharees?. (2016) Newspaper (Galway Advertiser). 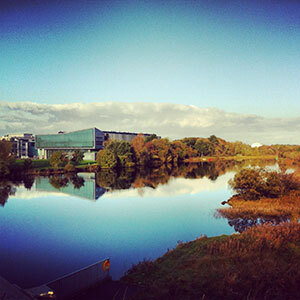 NUI Galway and city council promote coastal and marine environments. (2016) TV (TG4). Proposed extension of the Salthill Promenade, Galway. (2016) Newspaper (Connacht Tribune). Climate expert warns Salthill Promenade 'on last legs'. (2015) Newspaper (Connacht Tribune). Galway's researcher preparing for nature's assault on coastline. (2015) TV (RTE). Eco Eye 13 - Episode 8: 'Rising Tides'. (2016) Public Seminar. Challenges for Coastal Management in Ireland. Case Study: The Maharees, Castlegregory (Co. Kerry). (2015) Public Seminar. The 2013-2014 Winter Storms in Ireland. TULCA Festival of Visual Art, Galway November 2015. (2015) Public Seminar. Will Galway drown if future climate change projections materialize? Pint of Science International Festival, Galway, Ireland. (2014) Public Seminar. Beaches in Galway: Our Last Defence against Climate Change. Galway City Museum and National University Ireland Galway. Natural and Human Heritages Public Lectures. (2018) The challenges of protecting rural coastal communities from climate change impacts. A Case Study: Maharees Conservation Association CLG. (2018) The application of satelliteborne remote sensors for monitoring coastal erosion and ecosystems in Ireland. European Geoscience Union General Assembly, Vienna, Austria. (2017) The application of satellite borne remote sensors for monitoring coastal erosion and ecosystems in Ireland. Applied Geological Remote Sensing Conference, Lisbon, Portugal. (2016) The Nature of Large-Scale Coherent Structures as a Source of Saltation Unsteadiness. ICAR IX conference. 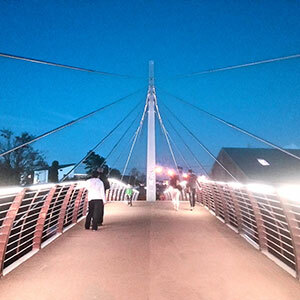 Mildura, Australia, 2016. (2015) The response and recovery of Irish beach-dune systems to storms. Third Irish Geomorphology Scientific Workshop, Geological Survey Ireland. (2015) The 2013/14 winter storms in Ireland. Windy Day Conference, University of Reading, UK. (2015) Post-Storm Recovery of Beach-Dune Systems in Ireland (The Maharees, Castlegregory, Co. Kerry). 47th Conference of Irish Geographers, Queens University Belfast, Ireland. (2015) The Winter Storms of 2013-2014: a window into Ireland’s future for coastal climate change. 47th Conference of Irish Geographers, Queens University Belfast, Ireland. (2015) I Like Beaches: a public outreach and educational initiative. First Irish Geomorphology Scientific Workshop, Trinity College Dublin. (2014) Using the Rouse Concentration Model to Represent Vertical Flux Profiles of Wind Blown Sand. 46th Conference of Irish Geographers, Dublin, Ireland. (2014) I Like Beaches: a student-led community knowledge research initiative. 46th Conference of Irish Geographers, Dublin, Ireland. (2014) Using the Rouse Concentration Model to Represent Vertical Flux Profiles of Wind Blown Sand. European Geosciences Union General Assembly, Vienna, Austria. (2014) Estimates of the ß parameter (a form of the Schmidt Number) in the Rouse Number for vertical flux distributions of wind blown sand. 12th International Coastal Symposium, Plymouth, England. (2014) Characterization of aeolian streamers using time-average videography. 12th International Coastal Symposium, Plymouth, England. (2014) Land to sea: benchmarking for our future. First Irish Geomorphology Scientific Workshop, Trinity College Dublin. (2013) Estimates of the Schmidt Number for vertical flux distributions of wind-blown sand. 45th Conference for Irish Geographers, Galway, Ireland. (2012) Mass flux profiles of wind blown sand: a review of laboratory, field and numerical studies. Annual meeting of the Association of American Geographers, New York, USA. (2011) Settling velocity of sand sized particles in air: a review. Annual meeting of the Association of American Geographers, Seattle, USA. (2011) Recalibrating aeolian sand transport models. Annual meeting of the Association of American Geographers, Seattle, USA. (2011) Field calibration of aeolian sand transport models. European Geosciences Union General Assembly, Vienna, Austria. (2010) Horizontal variability of aeolian sand transport. The 7th International Conference for Aeolian Research, Santa Rosa, Argentina. (2010) Variability of apparent von Kármán parameter during aeolian saltation. The 7th International Conference for Aeolian Research, Santa Rosa, Argentina. (2010) Horizontal variability of aeolian sand transport. Annual meeting of the Association of American Geographers, Washington DC, USA. (2009) Wave transformation across a rock platform, Belinho, Portugal. 10th International Coastal Symposium, Lisbon, Portugal. (2009) Aeolian saltation at Esposende beach. 10th International Coastal Symposium, Lisbon, Portugal. (2009) Aeolian saltation profiles: an evaluation of alternative methodologies and analyses. Annual meeting of the Association of American Geographers, Las Vegas, USA. (2009) Field evaluation of grain-scale aeolian saltation sensors. Annual meeting of the Association of American Geographers, Las Vegas, USA. (2008) Protocols for characterizing aeolian mass flux profiles. Geological Society of America Annual Meeting, Houston, USA. (2008) Characterizing the Vertical Distribution of Aeolian Saltation. Annual meeting of the Association of American Geographers, Boston, USA. (2007) Process-scaling issues of saltation dynamics in wind tunnel and field environments. American Geosciences Union General Assembly, San Francisco, USA. (2007) Vertical mass-flux gradients in aeolian saltation. American Geosciences Union General Assembly, San Francisco, USA. (2007) Wind tunnel simulations of saltation: is close enough, good enough? Annual meeting of the Association of American Geographers, San Francisco, USA. (2007) Vertical mass-flux gradients in aeolian saltation. Annual meeting of the Association of American Geographers, San Francisco, USA. (2006) Using scaled models in aeolian geomorphology. Annual meeting of the Southwest Division of the Association of American Geographers, Norman (OK), USA. (2003) Process-scaling issues for aeolian transport modeling in field and wind tunnel experiments: roughness length and mass flux distributions. The 6th International Conference on the Mediterranean Coastal Environment: Ravenna, Italy. (2018) 'We're at a critical juncture for coastal management in Ireland' (RTÉ Brainstorm Opinion). (2016) Coastal management strategies in Galway: present and future challenges. Will the city drown? Galway Geological Association. (2015) Coastal storms, erosion and climate variability linkages: An Irish Perspective. University of Victoria, BC Canada. (2015) Understanding coastal catchment response to climate change: linking bouncing sand grains, disappearing dunes and a wandering polar jet stream. 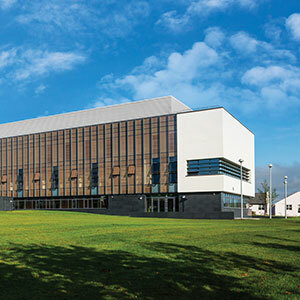 University of Ulster Coleraine, Northern Ireland. (2014) Climate change and coastal flooding. Dublin City Council, Geographical Society of Ireland, and University College Dublin. (2014) Aeolian system modelling: from bouncing sand grains to dune avalanching, size does matter! Trinity College Dublin, School of Natural Sciences. Seminar series in Geology and Physical Geography. (2016) Earth Science Ireland, Issue 19 Spring/Summer 2016 (ISSN 1753-5271). A Battle on The Maharees Peninsula, County Kerry. The community fight against coastal erosion. (2017) An example of a successful IGGy collaboration: From source to sink: the response and recovery of coastal catchment ecosystems to large perturbations. Workshop: Strategic research funding for geomorphology in Ireland. (2017) Modelling nearshore, beach, and dune environments in Ireland. 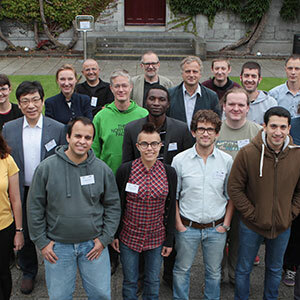 Workshop on marine modelling and observation, NUIG (sponsored by MAREI). 2011 U.S. Senator Phil Gramm Doctoral Fellowship for Excellence in scholarly research and teaching and for exemplifying the meaning of scholar/mentor in the highest sense. Texas A&M University, USA Texas A&M University, USA. 2008 Co-PI. Characterizing mass-flux profiles in aeolian saltation. U.S. National Science Foundation (NSF), Geography and Regional Science (GRS) Program. Grant 0822482. U.S. National Science Foundation (NSF), Geography and Regional Science (GRS) Program. Grant 0822482.